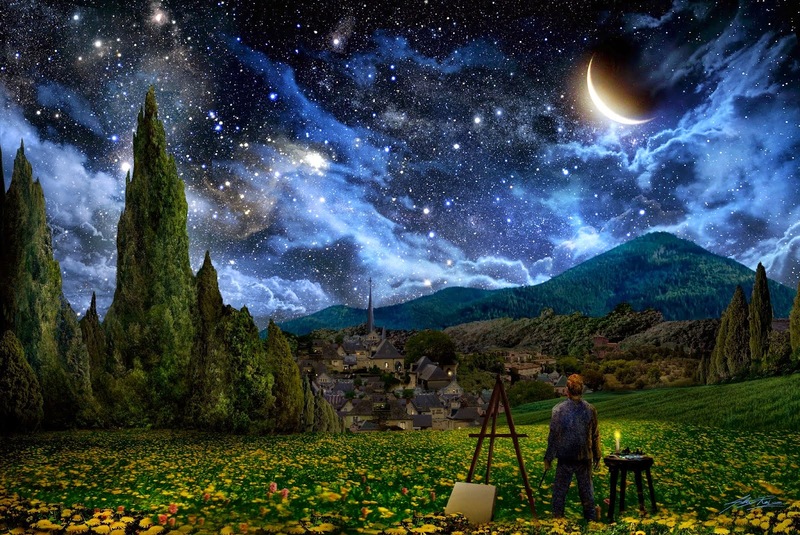 this is realistic version (digital) of Van Gogh's "Starry Night"
I'm happy and glad to return your visit, Wayne. You are wordsmith extraordinaire! You have captured the artist before the canvas Wayne. A brilliant write! "frolicking on the fatalities of his synaptic battles"--I cannot tell you how much I adore this phrasing. Absolutely stellar. As is the entire piece. I cannot imagine being inside the head of an asylum seeker, but as you have done, I should. Very uncomfortable. A wild chaos of thoughts waiting to pour throuh the brush and be spread on the canvas. Beautiful.